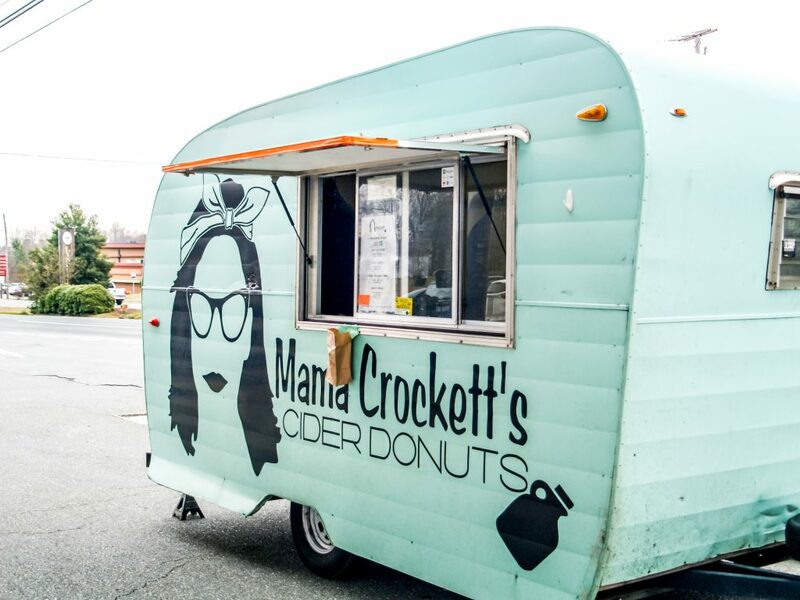 The first Mama Crockett’s trailer started slingin’ apple cider donuts out of an old camper trailer in October 2014. Mama Crockett’s has lived a nomadic lifestyle ever since, composed of frequent day trips to small towns in Central andSouthwest Virginia. Beginning sometime in February 2019, owner Frederick Willis, will add to the roster an old house at 500 Fifth St. marking the first stationary location and a major company milestone. The Lynchburg-famous side of that trailer is the centerpiece of their first brick and mortar location. lauren osterhoudt | Liberty Champion SCRUMPTIOUS — Hot apple cider doughnuts are the business’ staple product. Additional toppings and other menu items will be available solely at the Fifth Streetlocation. The three current trailers will continue operation as normal. Scheduled locations are available on Mama Crockett’s website and on various social media such as Facebook and Instagram. Willis plans to continue scouting locations around Lynchburg, and has already moved trailers to toss donuts as far as High Point and southern Wake County, North Carolina. Lynchburg’s consistently positive community response made it a place Willis wants to maintain a long-term presence. “The shop will fill the void and allow for more expansion,” Willis said. Mama Crockett’s existed before the name and donut business model. In Spring 2014, Willis operated an ice shack out of a wooden trailer that he hand-built. Based in Buena Vista, he sold snow cones and other shaved ice products. Shaved Ice Shack was the identifying title positioned with a long-haired man with a goatee and mustache, the style much alike the Mama Crockett’s logo and title design seen today. The ice shack came to be known by its nickname, Shavey Crockett’s. “Shavey’s coming to town!” was one of many phrases used to alert people to its arrival, according to Willis. Due to the nature of their products, demand for Shavey went down with the leaves and temperature, so Willis concocted another way to keep a trailer going. 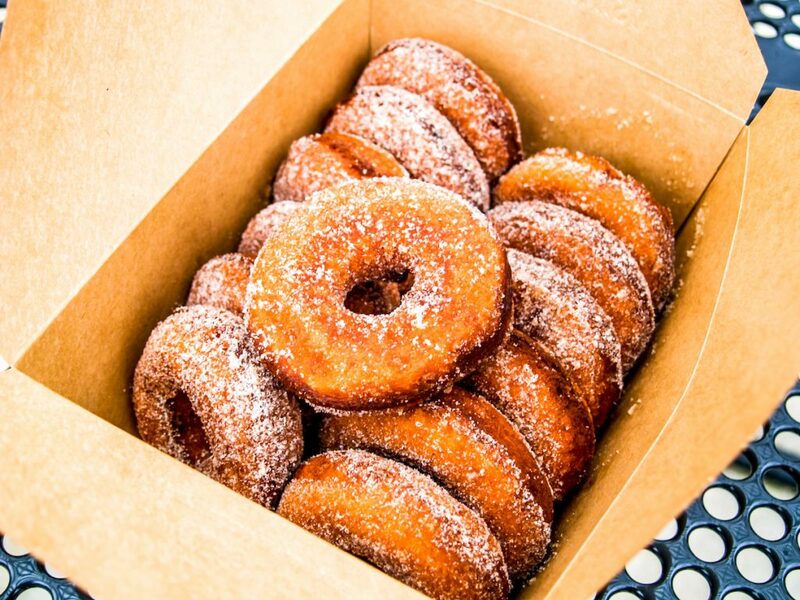 At the first chill of the fall season in 2014, the warm, apple cider donuts were born. But without shaved ice, the name Shavey Crockett’s did not make as much sense. The success of the wordplay and cold products had attracted enough people that Willis wanted to make it obvious the new line of products were related. Thus, Shavey’s mom was born. Using a 1961 Shasta camper trailer found on Craig’s List, Mama Crockett’s became much more mobile. Willis and business partner at the time, Coulter Sims, took the trailer to other nearby places like Lexington and Lynchburg. When it came time to expand, Willis spent days driving around looking for a potential candidate to flip into a donut slinger. MOBILE — Mama Crockett’s began its tour of Central Virginia in 2014. The second tag-along trailer was found in a field during a February 2015 drive, and after a few attempts to reach the owner, Willis purchased the trailer on the spot. Trailer three was also transformed from a Craig’s List find, and eventually wrecked. The fourth was custom made to look like the original Mama Crockett’s 1961 Shasta. The fifth mobile shop is the only actual food truck. The truck, though still in operation, sees less action than the trailers, and can probably be seen resting behind the Fifth Street location. According to employee Mark Gibson, Willis and employee Ty Bilodeau keep the truck and trailers maintained and running smoothly. Willis also handles all the designs from the famous logo to the handmade menu and wall decorations inside the Fifth Street shop. Willis said he will be looking for new hires to help at the Fifth Street location. Employee Mallori Gederberg will manage the shop while Willis primarily oversees further expansion. “Coming soon,” is the only official opening date for now, as permits and other necessary furnishings and appliances are still to come. Willis expects to be open within the month and will release a specific date on Mama Crockett’s social media.